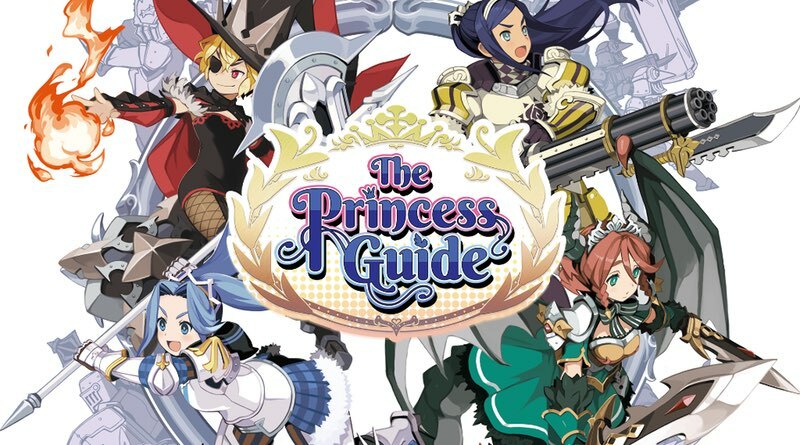 The Princess Guide is yet another release for the switch by NIS America. I have been very surprised by the amount of games they have been releasing, but I’m very happy that they are. Not everything matches up with my taste in gaming (as you can tell by my various reviews), but that’s OK because there’s a wide swath of gamers out there that like different things. Likewise, some of them I have been absolutely thrilled with. Where does this one land? It’s smack dab in the middle of the road; one that I think will appeal to some of you out there. This one has a lot going on under the hood and it felt really overwhelming from the word go. You are a mentor to the four princesses of the land. You’re task is to train them to become better warriors. Each of the princesses has unique personalities, strengths, and weaknesses. For example, one of them loves food, another is a victor for her underlings, and yet another is a witch who just wants to kill. Because they are so different, the way that you train them will determine their success in the world. One of the main parts to the game is either scolding or praising your princesses for what they are doing. If the one who loves food is eating too much, you can scold her for it. Maybe it’s akin to fat shaming, but I think you’d have to read into it to reach that conclusion. Of course, you could praise her for it if you wish. It does affect the outcome of their training, but the whole thing didn’t make as much sense to me as maybe it would to others. I don’t see it as anything ground breaking, but maybe it’s a control over women thing. I didn’t really find it all that compelling for more than a half hour beyond where you started doing that. There are a lot of menus to this game. If you really like confusing and clunky menus to make your way through, then this is definitely a game you will want to give a shot. If you hate that, much like I do, then it’s not going to be as much fun and will eventually detract from the game to the point of irritation and maybe a touch of frustration. Frustration is also a good word to describe the battle system. It consists of skirmishes that take place in isometric battlefields. They usually don’t last more than a few minutes, and in fact some of them are timed and you must succeed in under the limit. I know that some gamers like to have that restraint because it can add excitement or a feeling of adrenaline, but it became annoying very quickly. When I started the game, I enjoyed the combat and thought it was pretty cool. However, after a few hours passed the staleness started to seep in and I began to realize just how stupid my battalion peons were. They follow or surround you and you use your power-ups and weapons to destroy enemies. The problem is that even with the ability to change the overall fighting technique of these soldiers, they still feel about as worthless as a space heater on the sun. Overall, I felt that I was doing more button mashing and replaying tutorials to really enjoy the game beyond the first few hours. It’s fun at first, but then gets overly complicated and never really gave me the sense that I was accomplishing anything. There was too little reward for the amount of tasks I was completing and the story just wasn’t compelling enough to keep my interest. I give it points for originality, but the execution leaves a bit to be desired. Still, it’s worth considering for those into unique JRPGs. The Princess Guide is fun at first, overwhelmingly complicated overall, and a little weird to be scolding or praising princesses in their training. It has some great points like crazy button mashing combat, but also has clunky menus and severely repetitive gameplay.